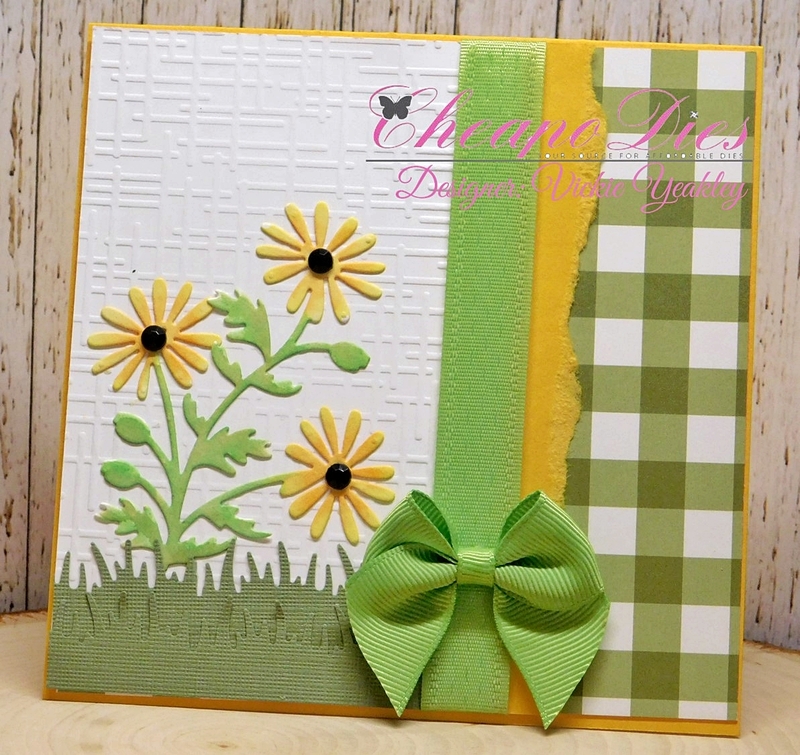 Vickie Y sharing a card using the daisies die cut. Daisies are my all-time favorite flowers! For my card, the daisies was die cut using watercolor paper and colored using Zig Clean Color Real Brush pens and an aqua brush. To assemble the card I used Summer Sun cardstock for the card base, layered using a wide gingham designer paper. Used an embossing folder to create some texture on the left side of the card, added a torn edge of summer sun cardstock, a length of ribbon, a bow and used a grass border punch to anchor the daisies. 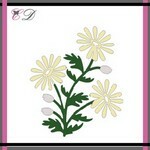 I love daisies too and you card is beautiful, a very pretty, pretty design! !